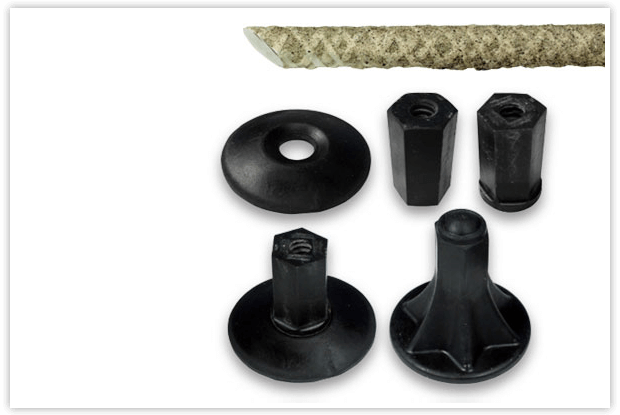 Our Tuf-Bar Fiberglass products, rebar, rock bolts, and form ties are designed to protect concrete structures against corrosive agents like de-icing chlorides, chemicals, and electromagnetic fields. A complete protection against environmental factors and corrosive agents is what makes our products a perfect solution to corrosion. We only utilize high quality vinylester resin and fiberglass material in our manufacturing process. 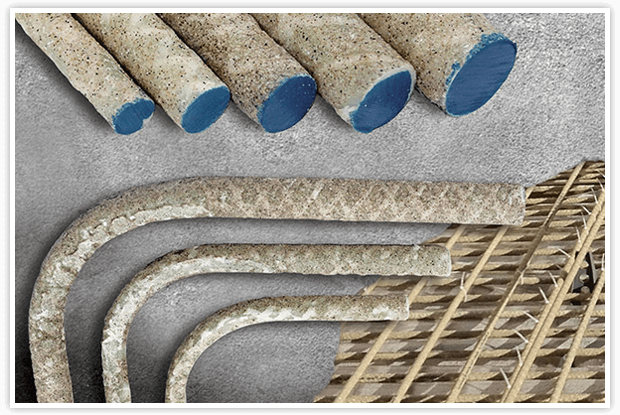 With a lifespan of more than hundred years, Tuf-Bar Fiberglass products are a perfect alternative to traditional reinforcing techniques. TUF-BAR Fiberglass Rebar is the highest quality GFRP (Glass Fiber Reinforced Polymer) Fiberglass Rebar available in the market. 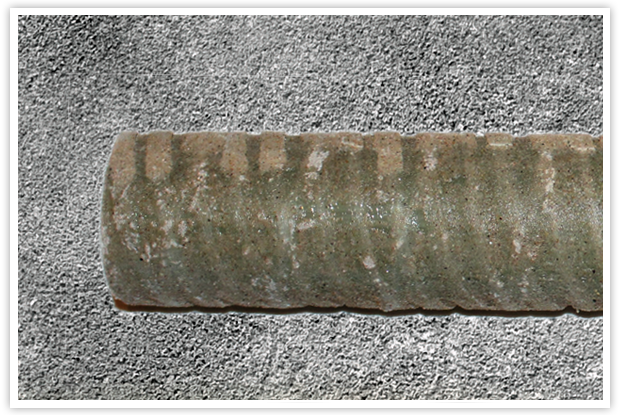 Our Tuf-Bar Fiberglass Rock Bolts utilizes our #7 60GPa Fiberglass Rebar which is our strongest load bearing GFRP Fiberglass Rebar. 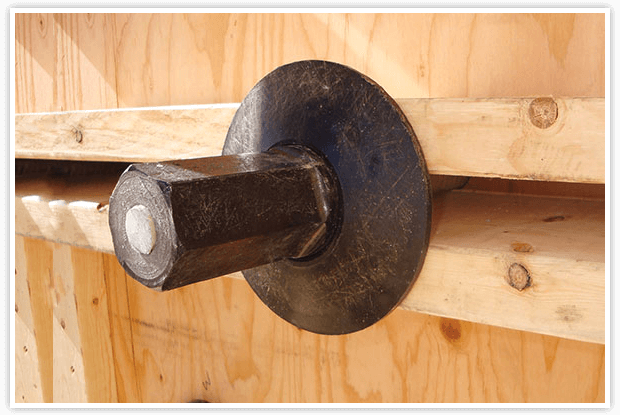 Our Tuf-Bar Fiberglass Form Ties utilize our #7 60GPa Fiberglass Rebar which is our strongest load bearing GFRP Fiberglass Rebar. Our Tuf-Bar Fiberglass Lifting Anchors utilizes our 60GPa Fiberglass Rebar which is our strongest load bearing GFRP Fiberglass Rebar. The corrosion of steel dowel bars ultimately leads to joint failure. 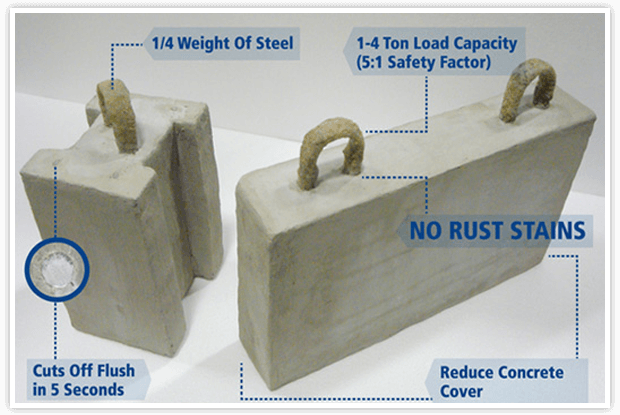 In order to permanently eliminate the negative impact of steel corrosion.